Selling on Etsy is profitable and fun! On this webpage, we discuss the benefits of selling Etsy collectibles and Etsy crafts, Etsy vs eBay, and how to make the most money selling used items on Etsy. 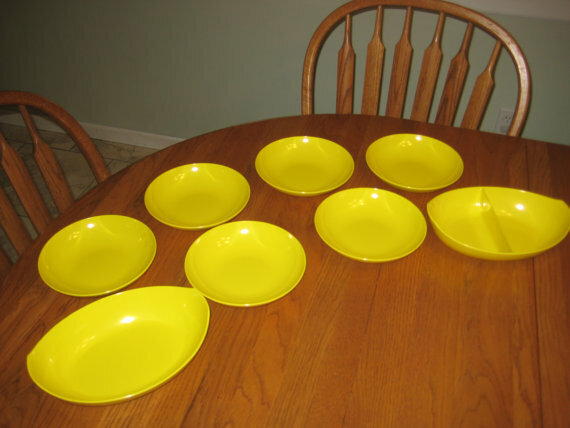 Mid-Century Modern Period Items Often Sell for Higher Profits on Etsy than on eBay. Etsy.com is rapidly becoming the best internet website to sell vintage items, collectibles and homemade crafts.Etsy’s popularity with both sellers and buyers has surged lately. This can be attributed both to the Etsy websites cool eclectic feel, and also to the growing dissatisfaction with the eBay machine, particularly among existing eBay sellers. Etsy has made the process of selling vintage items and hand-made crafts easy and affordable for internet sellers, garage sale flippers and thrift store shoppers. The website offers the ability to create listings within 2-3 minutes when selling on Etsy, and showcase similar items together in custom stores created by the seller. As Etsy gains traction with buyers of vintage collectibles and unique home decor, more and more sellers are utilizing Etsy, both as a primary selling platform and as a secondary selling outlet for eBay items. Selling on Etsy provides many benefits to sellers. We will discuss how to start your Etsy store, advertising your Etsy collectibles and crafts, and utilizing Etsy Facebook and Pinterest images to promote your items on Google and other search engines later on this web page. ‘What is Etsy’? and ‘What can I sell on Etsy?’ are the two most common questions that I get related to Etsy.com. The answer to #1: Etsy is a fixed-price marketplace for vintage and hand-made crafts. Sellers build their own Etsy store and then they can offer their items in a setting that is similar to eBay fixed price listings or eBay store inventory. #2: Etsy limits sellers to offering the following goods: Vintage Items over 20 years old, hand-made crafts, and “commercial and hand-made craft supplies”. If your item does not fall into one of those three categories, it cannot be listed on Etsy. 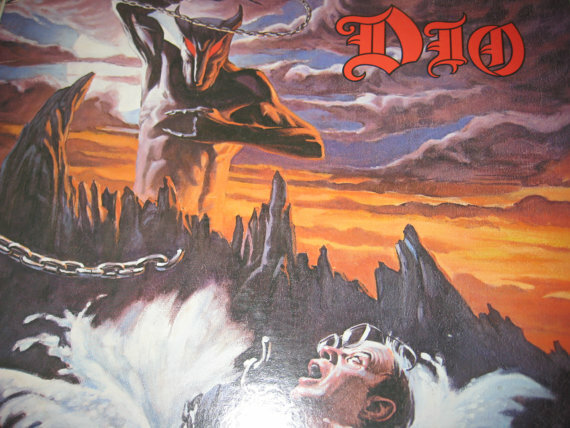 This Empty Dio Record Jacket was sold on Etsy as Unframed Wall Art for $10 + Shipping. A Crafty Seller May be Able to Build a Wood Frame and Sell as Wall Art for $20+. Etsy tutorials make starting your Etsy Shop and listing items extremely easy. The process for listing items is similar to eBay fixed price listings. You can easily upload your own photographs or website logos or banners to use as your Etsy store header. Easily develop your own “brand” for selling your vintage items and crafts. Fees are very low on Etsy. Each item listed costs 20 cents (40 cents for multiple item listings), and the listing is good for 3 months. There is a 3.5% transaction fee, and 3% + 0.25 fee if you choose to offer direct checkout through Paypal or Credit Card. Link your Facebook and Twitter accounts to your Etsy store, so you can share your listings with friends and associates. You can also connect directly to your blog through RSS. You can have conversations or ‘Convos‘ in Etsy-speak with other sellers or buyers. Discuss selling arrangements, marketing, or send messages to your buyers and let them know about deals or other items. Accept multiple payment methods including Credit Card, Paypal, Checks and Money Orders and other payments. Your shop can connect through RSS, so shoppers can ‘subscribe’ to your shop and find new listings. Shoppers and other sellers are also offered ‘Like’ buttons and ‘Favorite Seller’ buttons from both your listings and your shop. Each listing allows you to manually add features and tags, which are used for search engine optimization for internet search engines like Google. Sellers can also enter the Style of their item, so that shoppers looking for “Art Deco” or “Shabby Chic” items will find your similar items in Etsy searches or Google searches. Design Applets to promote your items on your website, blog or social media site. Variety of Etsy apps to assist in item creation when selling on Etsy, promotion and streamlining. There are buyer protection procedures available through Paypal and Etsy. Sellers can ‘click and ship’ with internet shipping through USPS. Shipping fees are deducted from your Etsy account, and then labels are printed on your home printer. A key benefit: Etsy provides shop owners excellent feedback on shopper activities of their items and shops. With one click, sellers can find out how many shoppers have been on their shop pages, and also on each individual item listing page. It also tells you where each visitor came from: Etsy search, Google search, Facebook, etc. This is a huge marketing advantage. You also find out how many people have ‘favorited’ each item and your seller shop. Cool! Selling on Etsy provides shoppers an excellent look at your item. Each listing in Etsy searches are provided with an approximately 2×3″ horizontal box and the thumbnail is about twice as large as on eBay listings. Etsy offers helpful blog posts and tutorials for improving listings, networking, promoting your store when selling on Etsy, and more. Sellers can join ‘Teams’ of other sellers, in order to network, share ideas, learn more about their craft, or just hang out. These are my own opinions, after being a seller on both sites for an extended period of time. Please use your own judgment after researching both sites, if you are deciding on one site or the other.In other words, don’t just take my word for it. Check the sites out for yourself. FEES – See Above – 20c for a 3-month fixed price listing. Closing Fees are low. Ease of Listing: Comparable to eBay. Both offer the ability to Clone existing listings or templates. Shop / Listing Marketing: I really like Etsy’s marketing plan, with the emphasis on social media site integration, seller networking plan, and SEO for internet search engines. Design your won shop for free. Shopper Experience: Comparable to eBay in their niches. Only offers fixed-price buying, no auctions. Seller Experience: Selling on Etsy is fun and easy. I like the seller community approach on Etsy. You really feel at home. However, you are limited to selling in Etsy’s niches: vintage and handmade items. Bottom line, Etsy has gone the extra mile to appeal to sellers, where eBay has alienated many sellers with its “shopper is always right” mentality. Best Features / Advantages: Free shops with branding and social media integration, large art/crafts/vintage collectibles following, low fees, large thumbnail photo and tags for listings, seller networking, and really cool overall treatment of sellers when selling on Etsy. Problems: Not as prominent as eBay in the public eye, much smaller buyer base, can only list certain items that meet their requirements. FEES – Higher than Etsy, after free listings. Generally, under the new eBay fee structure, sellers without stores pay 30c. 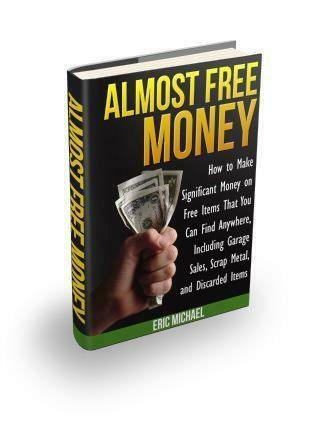 per auction for 7 day auction or 30 day fixed price listing (50 Free listings /mo) and then 10% closing fees. Store / Listing Marketing: Not much marketing for general eBay sellers. Store owners have some nice benefits and branding opps, but you pay a minimum of $16 a month, where you get more for Free on Etsy. Shopper Experience: Probably the most diverse shopper experience online. One-click buying of fixed price items, plus the ability for bargains through auction listings. Shoppers can buy almost anything on eBay. Seller Experience: The listing process is simple, and millions of sellers have made excellent money on eBay. However, dealing with Paypal and eBay has enfuriated many sellers, especially since they eliminated buyer feedback and let buyers leave feedback for sellers, with no consequences for leaving fraudulent and dishonest feedback on items. Best Features / Advantages: The second largest online shopper base, after Amazon.com, diversity of categories to sell in, universal familiarity with the site among buyers and sellers, auction listings. Problems: Um… Paypal, Paypal, Paypal and the eBay Resolution Team and Customer Support people. Need I say more? Most eBay sellers are familiar with these issues. 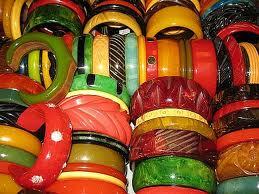 Among the Most Collectible and Highest Priced Items are Bakelite Bangle Bracelets. Mid-Century and retro items sell very well on Etsy. The bright colors of the items look great in the site’s selling format, which utilizes large item photos, the ability to market on Pinterest, and also tag items for the search engines. Mid-Century and retro items have had a very consistent demand among collectors, decorators and eBay bidders since the late 1980s. That demand has skyrocketed lately, with the popularity of a number of recent cable TV shows set in the 1940s-1960s, including Mad Men, Boardwalk Empire and Magic City. Look at as many photos of these items as you can on the internet and in books BEFORE you go inventory picking. The more you see this stuff, the more it sticks out. One of the easiest ways to identify mid century collectibles is to look for Bakelite. Perhaps that is why so many collectors buy Bakelite items. 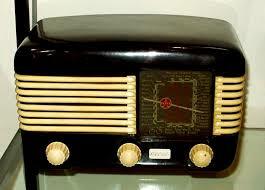 When you think 1950s, you think Bakelite plastic. It was used everywhere! 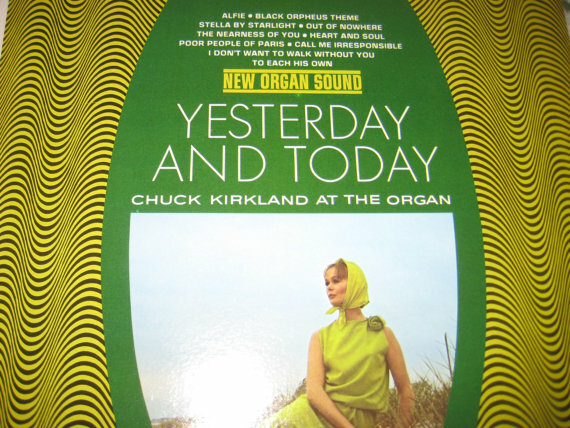 The colorful plastic is representative of the era, and looks much different than current materials. Most internet sellers can identify Bakelite by sight, in most cases. When all else fails, Bakelite makes a dull ‘clunk’ when you hit items together. Some Bakelite items that do very well at auction include: Bakelite Jewelry (especially bead necklaces and bracelets), radios, serving pieces, pin-backs and brooches, poker chips and sets, dice, clocks, serving pieces and utensils, sculptures, and even Bakelite buttons can sell very well. Etsy can be an excellent place to sell many items found at thrift stores, garage sales and flea markets. Many vintage items can be sold for higher profits when selling on Etsy, compared to eBay, although they may take longer to sell.Bright, colorful, retro and antique items do very well on Etsy, as we have discussed before. 1) Active shoppers for vintage home decor, vintage seasonal decorations, and outdoor / garden decor. Sellers can also sell other people’s handmade crafts found at thrifts and garage sales on Etsy. 2) Crafty sellers can often find damaged or weathered items for cheap (or free! ), and re-purpose them as crafts and wall hangings to sell on Etsy. Browse Etsy, and see what sellers are making. There is some really cool stuff that is easy to make with materials found at most thrifts or garage sales. 3) Browse the Etsy Craft Supplies category and see what sellers are offering there that you can find near you. Some examples of commonly found items that can be sold as supplies: vintage holiday cards, vintage wrapping paper, ornaments, vinyl records (even scratched records are used for making dozens of types of crafts), old tools, vintage metal plumbing and clock parts for steampunk art, vintage magazines, books, book illustrations, action figures and parts, and much more. 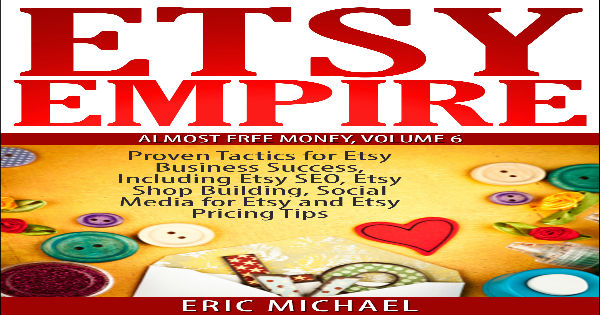 Learn how to start selling on Etsy and why Etsy is better than eBay for selling crafts and vintage collectibles.